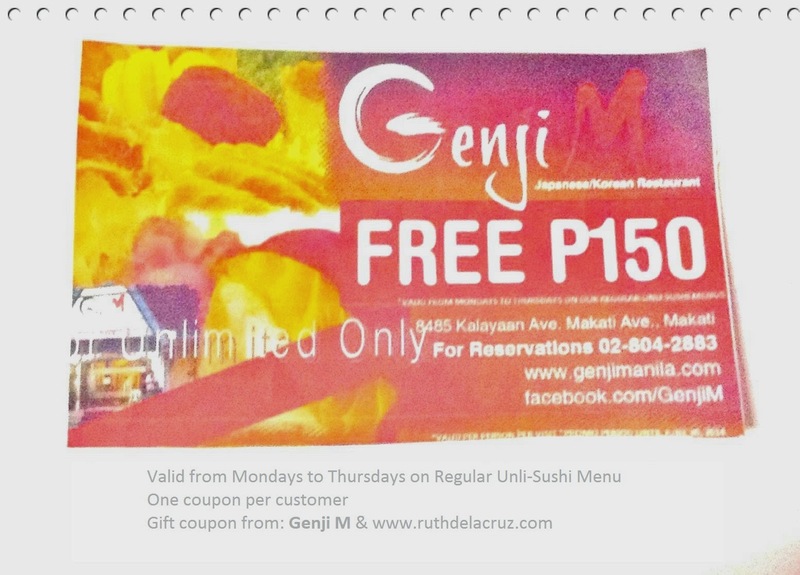 ruthdelacruz | Travel and Lifestyle Blog : Genji M Offers New Food Offerings and Promo x FREE COUPONS! Genji M Offers New Food Offerings and Promo x FREE COUPONS! Guess who was back at Genji M last Sunday? Yes, I was back! I just couldn't say No because Genji M is worth-coming back for! Plus, we were joined with new foodies who also enjoyed the unlimited sushi and sashimi! 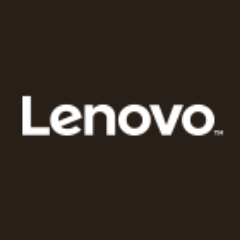 (hello, hello FoodScout and TheSoshalNetwork!). 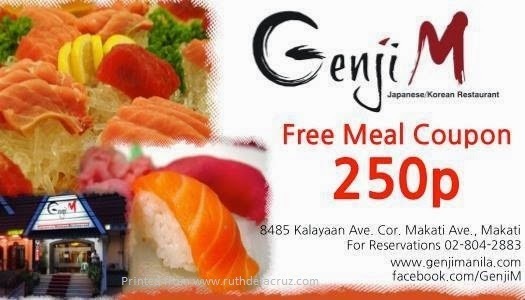 For those of you who have not heard of Genji M, it is a Japanese/Korean restaurant in Kalayaaan Ave, near Makati Ave that offers unlimited sushi and sashimi. You can read about my review of Genji M, here. When people heard the buzz about the Genji M's premium unlimited sushi and sashimi, it was expected that people will go lining up for the treat. Genji M wants to ensure fast service, and fresh sashimi everyday, thus, the management decided to roll out new buffet promos and new food offerings, with more efficient staff, new head chef and more efficient systems to assist the guests. Genji M is known for its Unlimited Menu - Unlimited Sushi and Sashimi. But when you say unlimited sushi and sashimi, these are freshly made upon ordering. They are not pre-made and displayed in the buffet table. This makes Genji M a more exquisite restaurant. Well, somehow it contributes to slow serving of food, but it only means they serve the rolls fresh. Keep on reading.. I have Genji M discount coupons for you! First, let's check out the new food offerings in the menu. These are some of the items you can order ala-carte if you feel that buffet and unlimited sushi are overwhelming. Click Read More to know what's new at Genji M! Just like the first time we were there, we were all happily complaining about how full we felt, that as much as we want to eat more, we could no longer find room for more rolls. It was fun as always at Genji M! If you are like me, who is weak at buffets, Genji M has something for you. They call it, the Timed Buffet. How does it work? Between 11:30 AM to 2:00 PM (from Mondays to Thursdays), Genji M will offer a timed buffet. You only need to pay amount based on how long or short you stay in the restaurant. Since it is a buffet offering, it doesn't matter if you can have 4 rounds in just 30 minutes, or just 1 round for an hour. 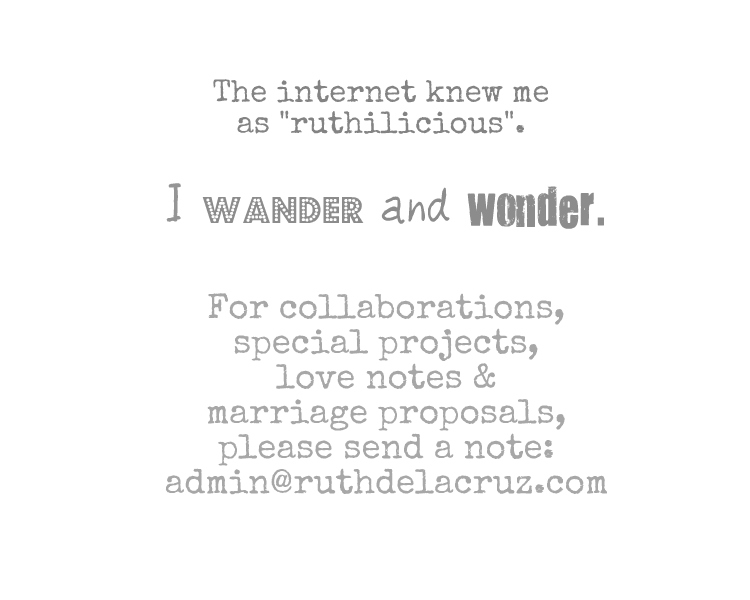 If you feel like extending, that's Php50 additional for 10 minutes. 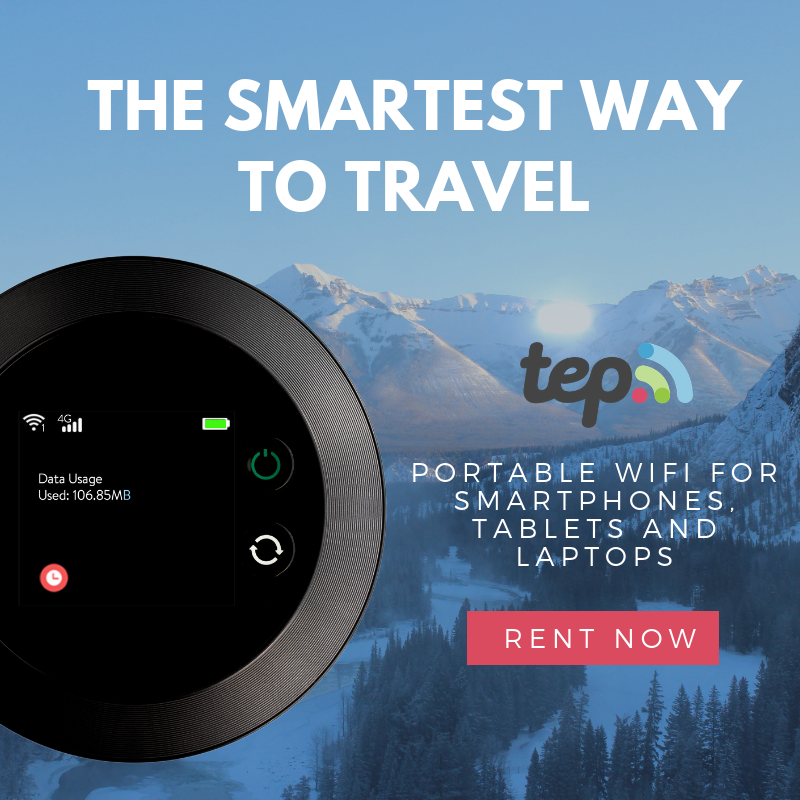 So yes, there will be a timer in your table. They rotate the buffet menu, and I got to check out what they were offering that day. Timed Buffet includes 6 main dishes, salad, rolls and maki plus iced tea, house tea and miso soup. 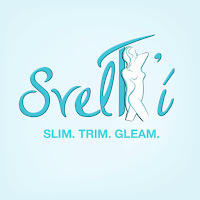 I think it is perfect for those who are on lunch break, who wants to eat and save, but have limited time on their hands. I tried the Korean Buffet, and only took small portions because I was so full. I love the Spicy Squid! Every Friday, Saturday and Sunday, Genji M offers discounted Dinner Promo for Unlimited Sushi and Sashimi. Here's some coupons that you can print and use when you dine in Genji M! 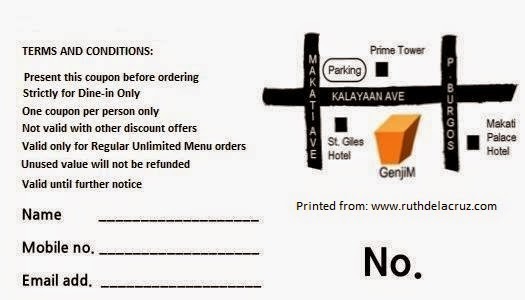 Important Note: The coupons can only be used for the Regular Unli Menu offerings with buffet and can’t be used on their ala carte dishes. Coupons can only be used for CASH TRANSACTIONS. Genji M Delivers through 212121. If you don't feel like going out and Makati is too far from where you live, you can also get fresh sushi and sahimi from Genji M delivered through 212121. Check out Genji M's Facebook page for more information www.facebook.com/GenjiM or connect through IG at @genjimanila. Have you tried the unlimited Sushi and Sashiimi? What do you think of the new promos? 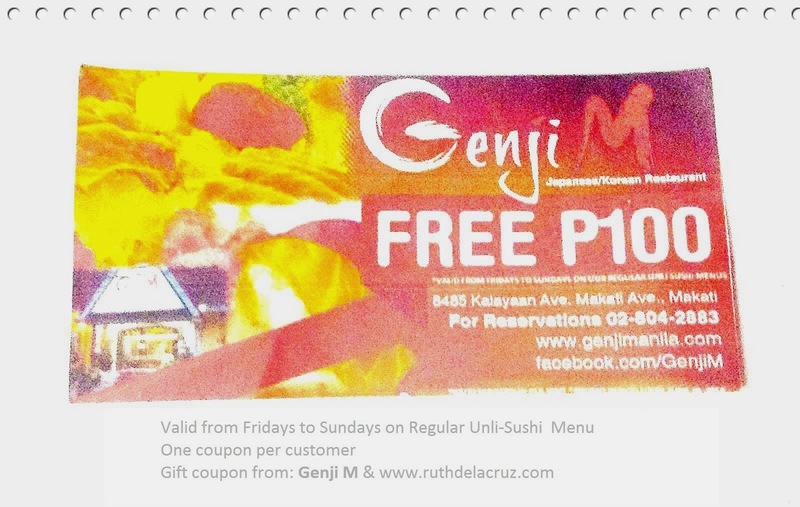 © ruthdelacruz | Travel and Lifestyle Blog : Genji M Offers New Food Offerings and Promo x FREE COUPONS!